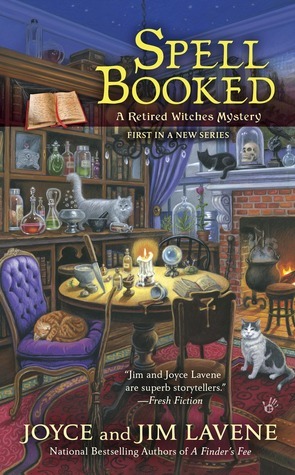 This book had me hooked right from the get go with its unique and fun premise of witches who are no longer in their prime and ready to retire. Joyce and Jim Lavene take an interesting look at witches in their new paranormal mystery series…created a world where magic and mundane live together yet separate-even in the same households. This is probably my favorite books, by Joyce and Jim. Their books are always unique, but this series is a cut above the rest. 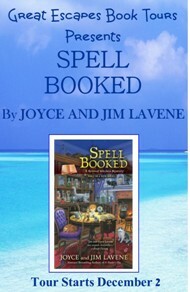 Spell Booked will keep you engaged with it’s humor, wit, and overall unique take on the life cycle of a witch. Mark this spot where we do host our review with a toast. To Joyce and Jim Lavene for writing this gem of a book. Thanks for the fun, friendship, laughter, sadness, lovable characters and adding magic to my day! May there be many books in this series. Cheers! This is one of the most unique witch stories you will *ever* read. I truly enjoyed this book! I don’t know that I am always drawn to books involving witchcraft but something about these characters make them seem more like you or me…normal! Before they could blink their eyes or twitch their noses, Molly, Elsie, and Olivia somehow became eligible for AARP. But they can’t fly off to Boca Raton just yet. First they must give up their magic, recruit and train three new witches, and pass on their cherished spellbook. Make sure that you make a stop on all the tour sites as the authors have a very special giveaway. They are giving away a handwritten grimoire of spells, a print copy of Spell Booked, a willow wand, and a velvet bag to carry it in. Every stop will have some clue words in each post that can be put together they make a Witch’s Spell. To enter the giveaway readers will have to collect all the words and put them all together on the giveaway entry form after the last stop. Good Luck everyone!! Once the rafflecopter loaded I LOVE the idea of the spell being spread out over all 15 days. What a great prize package. I don’t know if I’m going to have time in the next couple days to do it but thanks for doing this. 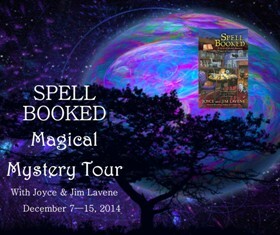 Love the look of this one and love the way the tour is set up to look for magical words! 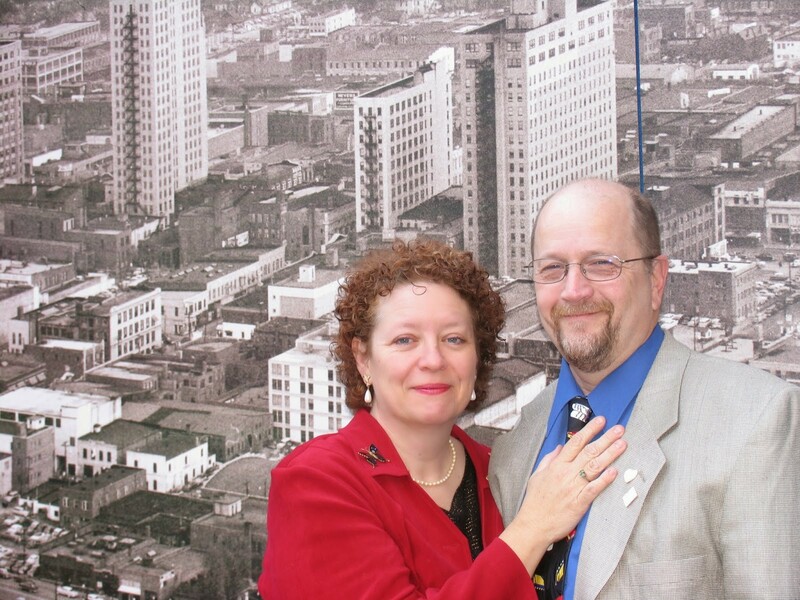 Saw plenty of shares of FB and Twitter, so I posted to Google+.